The inSCALE project in Mozambique is part of a multi-country study that includes Uganda and is supported by the Bill & Melinda Gates Foundation. The project is working to increase coverage of integrated community case management (iCCM) through community health workers (CHWs) trained to adequately treat children under five years for diarrhoea, pneumonia and malaria. The goal of the project is to develop scalable innovations based on research which will have a positive impact on CHW motivation, performance and retention in order to increase the quality and coverage of iCCM. This will eventually lead to an increase in the number of children receiving appropriate treatment in their communities or being referred to health facilities. Findings from a large piece of formative research, including literature reviews, stakeholder analyses and other research activities, were used to identify possible innovations. The feasibility and acceptability of these options were then analysed by key national stakeholders. Based on their recommendations, the inSCALE APE CommCare mobile phone application was developed by Malaria Consortium in partnership with the Inhambane Provincial Health Directorate, Dimagi, University College London and London School of Hygiene and Tropical Medicine. 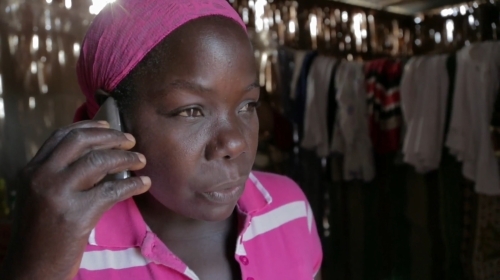 The film shows community health worker Halima in Inharrime District, Mozambique using the inSCALE APE CommCare mobile phone application. Halima says of the application ‘My work has greatly improved since I started using the phone. I can communicate with my supervisor to ask questions and I have clear information on how to treat patients’.